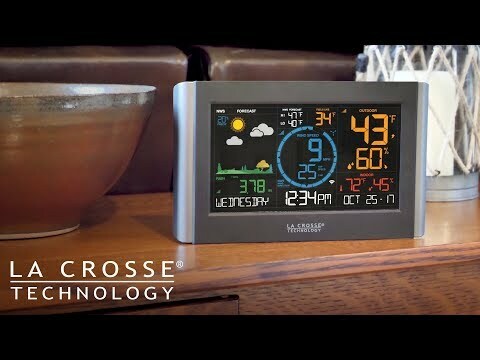 Our new Remote Monitoring Weather Station features wind speed, rain, indoor and outdoor temperature and humidity data, daily high and low temperature records, dynamic forecast icons, and a new Wi-Fi connected option, which will allow you to see all of your sensor data in our new La Crosse View app..
For help using the La Crosse View™ App or connecting your V22-WRTH weather station to the La Crosse View™ platform, click on the appropriate link below. I had a few porblems setting the unit up and getting it to communicate. I must say the tech support is really great. Their response time was prompt and my problems were corrected. Being able to see what is happening at the houe while on a trip gives us peace of mind. 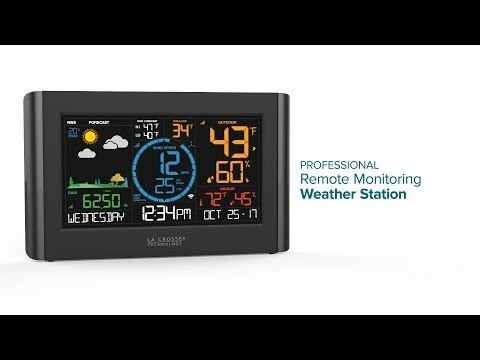 This is really a great product. - Hello Ross , Thank you for your review. We really appreciate your comments. I've had this product for almost a year and it works great! A couple of hiccups along the way but the Manual or assistance with Customer Support had be back on track! One suggestion, when putting the batteries in the Wind Gauge, coat the battery ends with Bulb Grease (available at an auto parts store) as the contacts will get wet and rust. The grease eliminates that potential problem. - Hello Marc, Thank you for your review. We really appreciate your comments. Had trouble with this product. I was slow in asking for help since it's at a weekend place little used during the winter. When I finally reached out to LaCrosse, they couldn't have been better at diagnosing and replacing. Now working great. - Thank you for your comments Ted. We are happy we could assist you.